View of bicycle sharrows on northbound Lincoln Avenue at its intersection with Melrose Street on the North Side of Chicago. 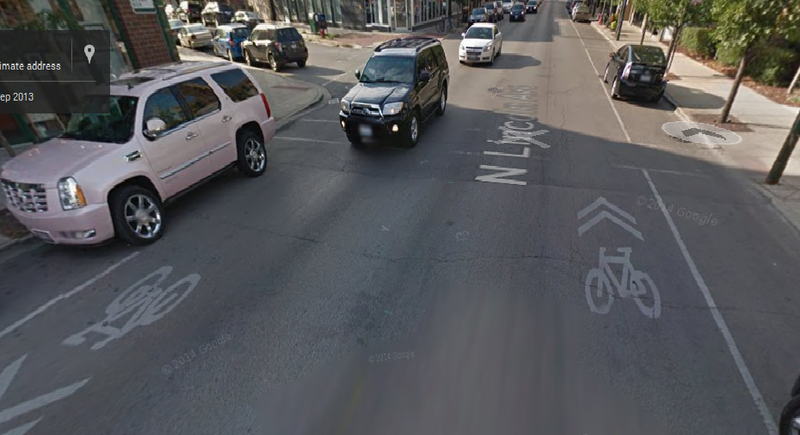 Last Wednesday, on May 28th, a regular Chicago bicycle commuter was riding down Lincoln Avenue and approaching Belmont. 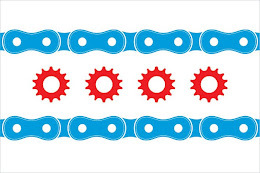 It was a regular route for the bicyclist and one commonly used by Chicago bicyclists due to the fact that it is a designated bike route and "bicycle sharrows" are painted on Lincoln Avenue. As the bicyclist was riding southbound, a garbage truck was traveling northbound in the opposite direction. Immediately prior to the crosswalk at Melrose Street, there is a bicycle sharrow in clear view of vehicles traveling northbound on Lincoln Avenue. The purpose of bicycle sharrows is 1) to serve as a sign for bicyclists to know that this roadway is intended for bicycle traffic; and 2) to warn the drivers of motor vehicles that bicycles are present. As the two vehicles - the garbage truck and the bicycle - were traveling on Lincoln Avenue the garbage truck turned left across southbound traffic in an attempt to cross the southbound lanes and proceed west onto Melrose Street. Even though it was morning and the sun was shining, the driver of the garbage truck apparently failed to see the rider and directly struck the bicyclist with the front of the garbage truck. The impact was so immediate and direct that the garbage truck literally left a perfectly linear indentation in the bicyclist's helmet from the truck itself. Even worse, the impact fractured five ribs along the bicyclist's side and caused related internal injuries. An ambulance came to the scene and took the injured bicyclist to Illinois Masonic Hospital where the bicyclist remained for three days while undergoing evaluation and treatment. "The driver of a vehicle intending to turn to the left within an intersection . . . shall yield the right-of-way to any vehicle approaching from the opposite direction which is so close as to constitute an immediate hazard." This type of bicycle vs. motor vehicle collision is known as a "left cross" or "left hook" crash. These types of bicycle accidents are a direct result of motorists failing to yield the right of way and to keep a proper lookout for oncoming traffic. It is unfortunately one of the most common types of collisions that result in a bicycle crash. Keating Law Offices, P.C. 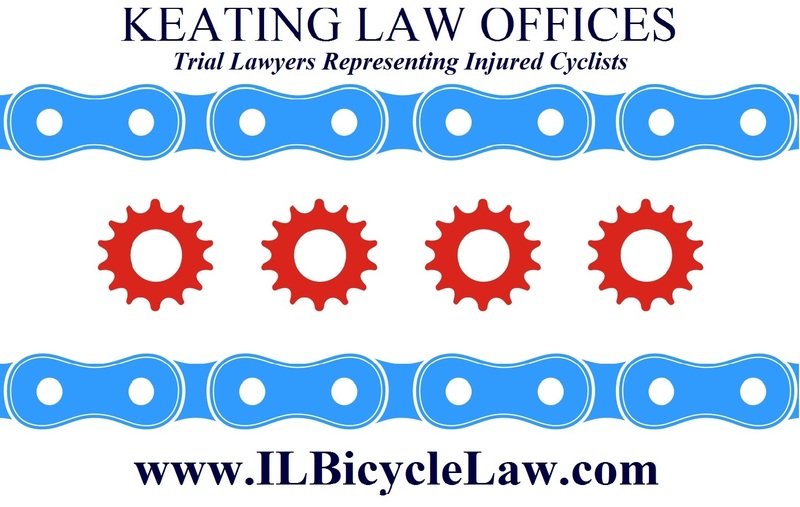 has been retained as the exclusive law firm to represent the injured bicyclist.